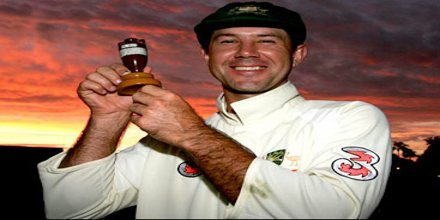 Ricky Ponting, in full Ricky Thomas Ponting, byname Punter was born on December 19, 1974, in Launceston, Tasmania, Australia. 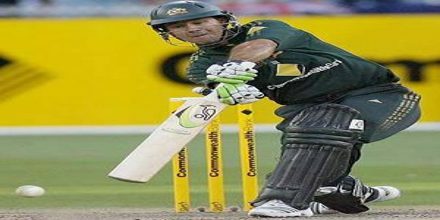 He is an Australian former cricketer who was the country’s premier batsman in the 1990s and early 2000s. He is a specialist right-handed batsman, slips and close catching fielder, as well as a very occasional bowler. Ponting holds the record of being the only cricketer in the history of Test cricket to be a part of 100 Test match wins. He was named “Cricketer of the decade 2000”. He led Australia to victory at the 2003 and 2007 Cricket World Cups and was also a member of the 1999 World Cup winning team under Steve Waugh. 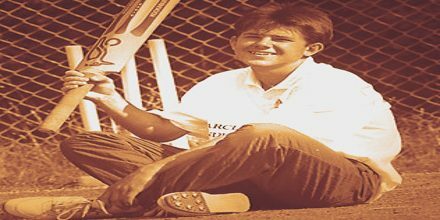 Ponting made his first-class debut for Tasmania in November 1992, when just 17 years and 337 days old, becoming the youngest Tasmanian to play in a Sheffield Shield match. However, he had to wait until 1995 before making his One Day International (ODI) debut, during a quadrangular tournament in New Zealand in a match against South Africa. His Test debut followed shortly after, when selected for the first Test of the 1995 home series against Sri Lanka in Perth, in which he scored 96. 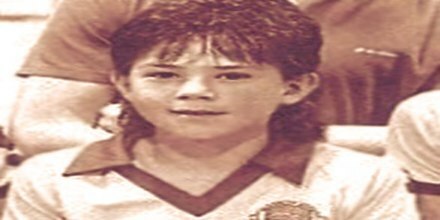 He lost his place in the national team several times in the period before early-1999, due to lack of form and discipline, before becoming One Day International captain in early-2002 and Test captain in early 2004. After being involved in over 160 Tests and 370 ODIs, Ponting is Australia’s leading run-scorer in Test and ODI cricket. He is one of only four players (along with Sachin Tendulkar, Rahul Dravid and Jacques Kallis) in history to have scored 13,000 Test runs. Statistically, he is one of the most successful captains of all time, with 48 victories in 77 Tests between 2004 and 31 December 2010. As a player, Ponting is the only cricketer in history to be involved in 100 Test victories. Ponting also holds the record to have been involved in the most ODI victories as a player, with 262 wins. Taking over the reins of captaincy from Steve Waugh, Ponting was blessed with a side amounting to a veritable roll call of greatness in all departments. However, hugely successful though his record as a skipper remains, there are gaps aplenty, especially against India and South Africa, and most importantly for the mindscape of the Aussie cricket follower, three rather dismal defeats in the Ashes. With the great names of the outfit walking into sunset, Ponting’s job became more difficult and slowly chinks and crevices began to show. 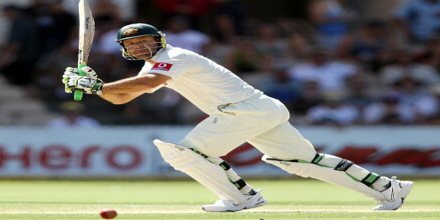 The sequence of poor results and his own plummeting numbers led him to step down, becoming the rarity of an ex-Australian captain in the side with Michael Clarke as the leader. However, all this did not stop him from remaining Australia’s most successful captain ever. 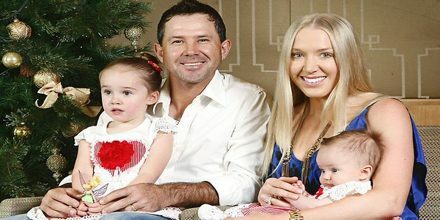 Born in Launceston, Tasmania on 19 December 1974, Ricky Ponting is the eldest of Graeme and Lorraine Ponting’s four children. Graeme was “a good club cricketer” and played Australian rules football, while Lorraine was a state vigoro champion. His uncle Greg Campbell played Test cricket for Australia in 1989 and 1990. Ponting’s parents first lived in Prospect 4.1 km (2.5 mi) south of city centre; however, they moved into the working-class area of Newnham, 6 km (3.7 mi) north of central Launceston. In June 2002 He married his long-time girlfriend, law student Rianna Jennifer Cantor, Ponting credited her as the reason for his increased maturity. They have three children. Their daughter Emmy Charlotte was born in Sydney on 26 July 2008. Second daughter Matisse Ellie was born in Sydney on 8 September 2011. Third child, and first son, Fletcher William was born in Melbourne on 24 September 2014. Playing five games for Tasmania for the 1992 Under–19 carnival in Perth, Ponting scored 350 runs, earning him selection in the 13-man national Under–19 development squad for the upcoming tour of South Africa—the first Australian cricket team to make an official tour to the country since Bill Lawry’s team in 1970. Ponting started his 1994–95 campaign with a century against eventual Shield champions Queensland in Brisbane, impressing Queensland captain Allan Border, “He’s just an outstanding prospect”, Border said. 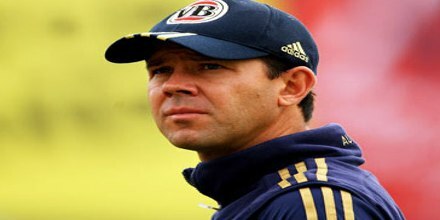 Speculation again arose that Ponting could become a candidate for the upcoming tour to the West Indies. When Tasmania played Western Australia at Bellerive Oval on 4 November 1994, Ponting scored 211. The century was his fifth successive against Western Australia; Sir Donald Bradman is the only other batsman to score five consecutive centuries against another state in Shield history. 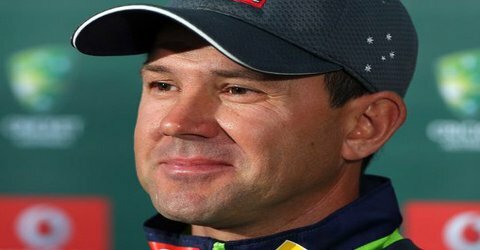 Ponting was selected for the Australian ODI team to play in all the matches in the 1995 New Zealand Centenary quadrangular tournament in New Zealand that also included South Africa and India. His highest series score came in the third International where Australia lost to India in Dunedin. Ponting was promoted to number three in the batting order and responded by scoring 62 from 92 balls. The innings was scored without a boundary and was based on “deft placement and judicious running.” He finished the series with 80 runs at 40 and strike rate of 71.42 runs per hundred balls. Tasmania toured Zimbabwe for five games ahead of the 1995-96 Sheffield Shield. Ponting struggled, aggregating 99 runs at a modest 24.75. By the end of October, he had signed a contract with the Australian Cricket Board, along with 22 other Australian cricketers. Though Ponting’s appearances for Tasmania continued to be limited, he was still able to top the 1995-96 season averages with 59.50. He played in all ten games of the World Series ODI Cup played between Australia, Sri Lanka and the West Indies after the Test series. Ponting ended his first home ODI tournament with 341 runs at 34.10, including one century and three fifties, as Australia ended as series champions. In 1996 Ponting ended his first World Cup campaign with 229 runs at 32.71. Ponting continued in the role for the series against the West Indies in 1996–97 in Australia. After two Test matches and three scores under 10, he was replaced by Justin Langer, despite scoring 88 in the First Test. He was out of the team for six months, and missed the remaining three Tests against the West Indies, the three Tests on the tour to South Africa, both series victories to Australia. In his first Ashes Test, Ponting score his first Test century (127, batting at No. 6). He played the last three Tests and ended the series with 241 runs at 48.20. At the time Australia had a policy of the selecting the same team for ODIs, so Ponting only played in three ODIs in early stages of the 1996–97 season in Australia, scoring 68 runs at 22.66 in December 1996 before being dropped. In 1998 just 10 days after their tour of New Zealand, Australia played in a first-class warm-up match in India, ahead of their three match Test series. Sachin Tendulkar struck a double century in the opening warm-up match as the Australian bowlers struggled to cope with the conditions. Ponting came into the Test series with first-class scores of 53, 37 and 155 behind him. In the following Test in Bangalore, Australia won their first Test in India for 29 years, despite 177 not out from Tendulkar, which gave India a slender first innings lead. Ponting scored 16 his only innings as Australia won by eight wickets. He finished the series with 105 runs at 21.00 as the hosts took the Tests 2–1. He played in all the following ODIs against Pakistan, which Australia won 3–0. In the final match, Ponting scored 124 not out from 129 balls, as Australia chased down 316 with six wickets to spare. He finished the series with 215 runs at 107.50. However, Ponting struggled in the first three Tests against England, scoring 47 runs at 11.75, and Lehmann regained his spot for the last two matches. He had played 22 Tests by the end of 1998, with 1,209 runs at an average of 36.63. Ponting was a permanent fixture in the ODI team throughout this period, and scored 322 runs at 46.00 during the Carlton & United (CUB series) series of 1998–99. Those results didn’t stop him from becoming the most successful captain in Test history after passing Steve Waugh’s 41 wins in the 2009-10 Boxing Day Test. In the same match he overtook Shane Warne’s 92 victories as the most by an individual, and he led Australia to 26 consecutive undefeated (completed) World Cup games. He stepped down from the captaincy when that run ended, in the 2011 World Cup. For the first three years of his reign he was in charge of a superstar unit and did not have to decide much tactically, but once that group headed for retirement he had to change from a manager to moulder. 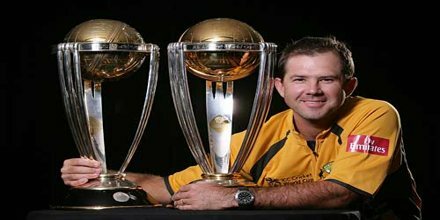 A force in One Day cricket as well with 30 centuries in the shorter version, Ponting was part of three World Cup winning sides (and four finals), leading Australia to tournament wins in 2003 and 2007. The spectacular hundred in the final of the 2003 edition remains one of the most memorable moments of a sublime career. As a batsman the only debate is where to rank him in the high reaches of the game’s greatest run-makers. He plays all the shots with a full flourish of the bat – the cover drive and the pull are particularly productive methods – and knows only to attack. His breathtaking, dead-eye fielding is a force in the game by itself. Only Sachin Tendulkar has more centuries in Tests and ODIs combined than Ponting, who is a natural in the game’s traditional forms, but resistant to the perks of Twenty20, from which he retired from in 2009. There have been setbacks against probing seam attacks, high-class finger-spin and, latterly, short balls, which he insists are meant to be pulled or hooked. On 29 November 2012 Ponting announced that he would retire from Test cricket after the WACA test against South Africa. On 1 January 2017, Ponting was named an interim coach for the team’s T20I series against Sri Lanka. Ponting holds the world record for being part of a team in most ODI wins- he finished on the winning side in 262 ODIs. He holds the record for the most world cup matches played. 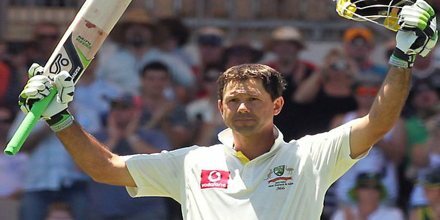 Ponting’s score of 242 against India is the record for the highest individual score in a test innings in a losing cause. Ponting was the Wisden Leading Cricketer in the World in 2003 and one of the five Wisden Cricketers of the Year for 2006. He has been the Allan Border Medalist a record four times in 2004, 2006, 2007 and 2009 (with Michael Clarke) . Ponting has won the award of Australia’s best Test player in 2003, 2004 and 2007 and Australia’s best One Day International player in 2002 and 2007. He was selected as the ICC World XI captain for the World Cricket Tsunami Appeal charity match against the ACC Asian XI in 2004–05 and scored a match winning 115 off 102 deliveries. 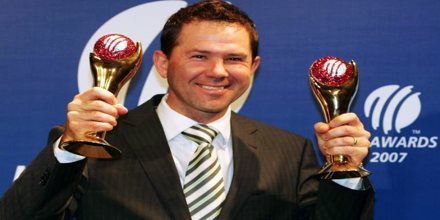 Ponting had earned 16 “Man of the Match” awards in 168 Tests; he also has 32 such awards in 375 One-Day Internationals (including the joint award which he had declined from the Johannesburg match). Named vice-captain in Australia’s greatest ever ODI team. Ponting was recently named the “Player of the decade” in both ODIs and Tests from an elite selection panel consisting of over 30 players (current and former), commentators and cricket writers. 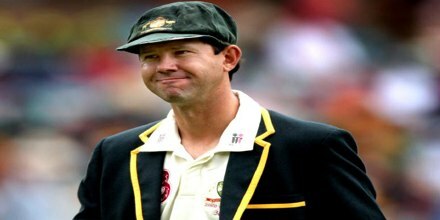 Ponting was honoured with the prestigious Order of Australia membership in 2012.